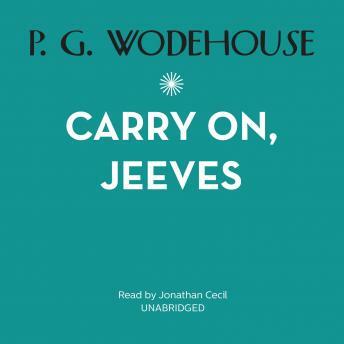 From the moment that Jeeves walks through Bertie Wooster's door, Bertie gives up running his own affairs and lets Jeeves take charge. Whether it's the color of a tie, the style of a hat, or a coat, Jeeves is always right. He is there to depend on in times of trouble, and such times are frequent in the lives of Bertie and his friends. Whether it's Corky's artistic career that needs boosting or Bingo Little's gloom that needs lifting, Jeeves can always be relied upon.